The Royal Charity Organisation (RCO) is planning to train its affiliates on agricultural work. and RCO board of Trustees’ Chairman His Highness Sheikh Nasser bin Hamad Al-Khalifa. 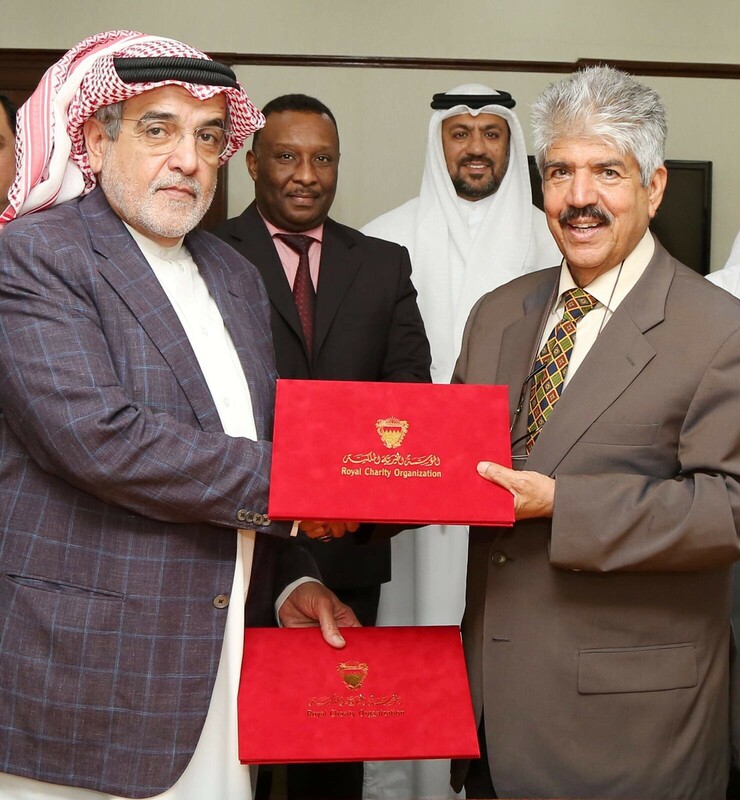 Undersecretary for Agriculture and Marine Resources Sheikh Khalifa bin Isa Al-Khalifa sealed the deal with RCO Secretary-General Dr. Mustapha Al-Sayyed. Sheikh Khalifa bin Isa Al-Khalifa paid tribute to His Majesty King Hamad bin Isa Al-Khalifa, RCO Honorary President, hailing the royal keenness on promoting charity and humanitarian work. He commended the efforts led by HH Shaikh Nasser bin Hamad Al-Khalifa to reach out to all needy people, stressing the ministry’s cooperation to support RCO-led charity work. Dr. Al-Sayyed stressed the importance of the cooperation agreement which will provide training to a group of RCO-affiliated families on setting up and running their projects, particularly green houses.